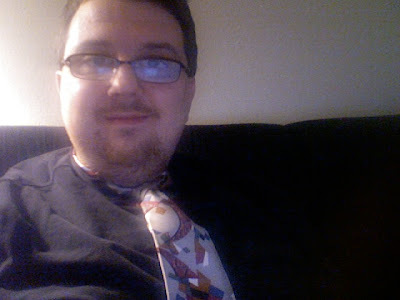 I'm not a big tie wearing person. As a web geek, I really don't deal with "the public" that much, at least not directly in person, so my "professional appearence" doesn't matter. However, even as a fashion challenged computer jockey - *I* know that there are some ties that simply should not exist, much less be worn. Somehow, I have several of these ties. Luckily, there's hope in the form of the Belisi Take off that Tie Campaign. Belisi is a fashion guru, and he wants to help the world wear better ties. The first step is, of course, to ditch the old ugly ties.